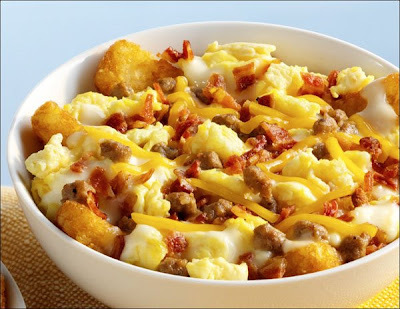 ... and the Hearty Breakfast Bowl which features scrambled eggs, hash brown sticks, bacon, and sausage topped with a white cheddar cheese sauce and shredded cheddar cheese. 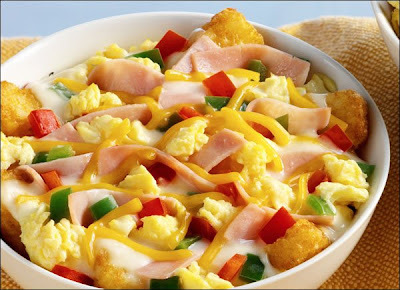 The suggested price for a Breakfast Bowl, excluding tax, is $2.99 at all participating Jack in the Box restaurants. Prices may vary.